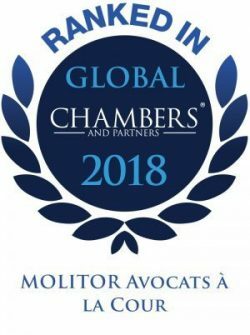 Chambers Global 2018 ranked MOLITOR for their expertise in Corporate/M&A and Michel Molitor and Chan Park have been listed as leading individuals. They described Michel Molitor as a ‘respected and reputed corporate litigation partner’. Clients say that Chan Park is ‘pragmatic and looks for solutions’, sources also highlight his ‘ability to grasp economic reasons behind a transaction and tailor legal documents very precisely’.